David A. Kenny's pioneering contribution takes a social relations approach to basic questions of person perception in social interaction. Enlightening and provocative, this volume provides a comprehensive theoretical overview of "interpersonal perception," a field of research that holds great promise for shedding light on social behavior. 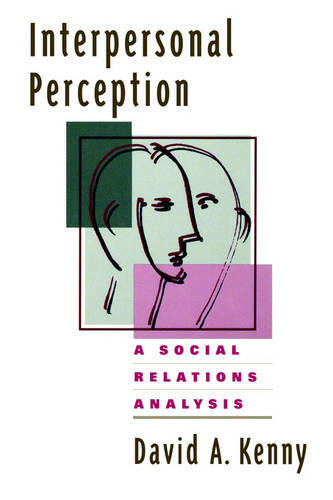 Blending meticulous analysis with thoughtful interpretation, the book demonstrates how interpersonal perception enhances the traditional study of person perception by capturing the richness of social behavior. This unique volume is invaluable reading for all social scientists interested in person perception.